This post has been compensated by Collective Bias®, Inc. and its advertiser. Are you looking for something new for dinner tonight or maybe you are in a rut and want to add a flavorful twist to your recipes? Then you will definitely want to cook with authentic Mexican products from La Morena! Explore the mouth-watering recipes rich with traditional flavors and Chipotle peppers as well as some good cooking tips on the #VivaLaMorena Pinterest Board. You will see me there with my Cheesy Corn and Jalapeno Dip! SO head on over and keep track of all the good ideas that catch your eye by saving them to your own Pinterest Boards! Man, do I love how easy Pinterest is?! 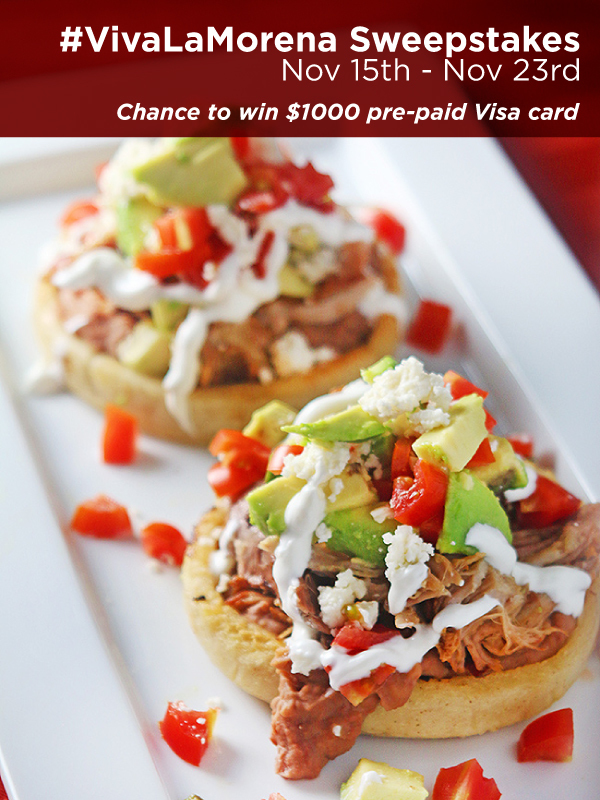 We’ll ALSO be giving a lucky cook the chance to enjoy and share a feast of the finest, traditional Mexican cuisine via the #VivaLaMorena $1000 Sweepstakes! It’s quick and easy to enter for a chance to win a $1000 pre-paid Visa card! How awesome is that with the holidays coming up. That would definitely help pay for travel to see family and lots of fun gifts! 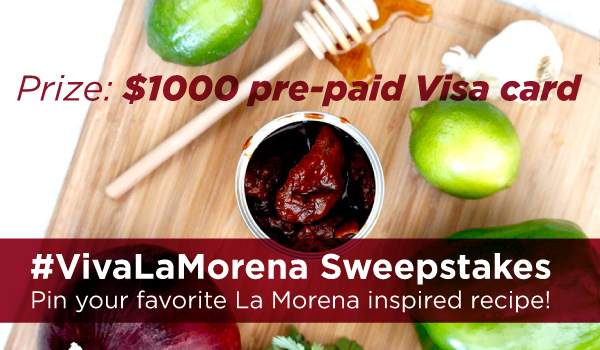 Visit #VivaLaMorena $1000 Sweepstakes Entry Form below. Find inspirational Pins from our #VivaLaMorena Board on the entry form. Hurry – your chance to enter to win. Ends on November 23 at 11:59pm EST! Good luck everyone! I wish you the best!